Bullying has been a problem for children for decades, but with the growing popularity of social networking and instant connectivity, bullying has taken on a whole new intensity. This training provides information on the different types of bullying, characteristics of victims and bullies and what you can do as parents if your child is being bullied or bullying others. 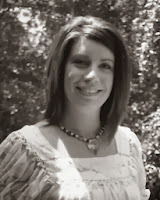 Hannah Taylor, CRC, is a Family Support Worker III with the APAC program of Children’s Aid Society. Hannah received an undergraduate degree in Psychology at Troy University and a Masters degree in Counseling at Auburn University. Her experience includes working with DHR as a counselor and working as Unit Director at Sequel TSI. She has been a foster parent since November 2010. Hannah lives in Tallassee with her husband and 3 children.